Radial basis function (RBF) is one of effective meshfree methods for interpolation on high dimen-sional scattered data. 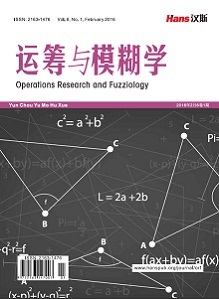 Since the approximation quality and stability seriously depend on the dis-tribution of the collocation points, it is urgent to find algorithm of choosing optimal point sets for the reconstruction process. In this paper, we give a short overview of existing algorithms including thinning algorithm, greedy algorithm, and so on. A new adaptive data-dependent method is pro-vided at the end with a numerical example to show its efficiency. 吴宗敏. 散乱数据拟合的模型、方法和理论[M]. 北京: 科学出版社, 2007. Fasshauer, G.E. (2007) Meshfree Approximation Methods with Matlab. World Scientific, Singapore. Franke, R. (1982) Scattered Data Interpolation, Test of Some Methods. Ma-thematics of Computation, 38, 181-200. Dyn, N., Floater, M.S. and Iske, A. (2002) Adaptive Thinning for Biva-riate Scattered Data. Journal of Computational and Applied Mathematics, 145, 505-517. Wendland, H. (2005) Scattered Data Approximation (Cambridge Monographs on Applied and Computational Mathematics; 17). Cambridge University Press, Cam-bridge. Floater, M.S. and Iske, A. (1998) Thinning Algorithms for Scattered Data Interpolation. BIT Numerical Mathematics, 38, 705-720. Behrens, J. and Iske, A. (2002) Grid-Free Adaptive Semi-Lagrangian Advection Using Radial Basis Functions. 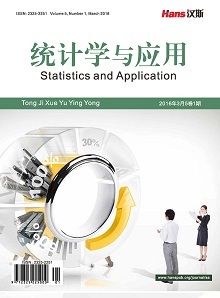 Computers and Mathematics with Applications, 43, 319-327. Marchi, S.D. (2003) On Optimal Center Locations for Radial Basisfunction Interpolation: Computational Aspects. Rendiconti del Seminario Matematico Università e Poli-tecnico di Torino (Splines Radial Basis Functions and Applications), 61, 343-358. 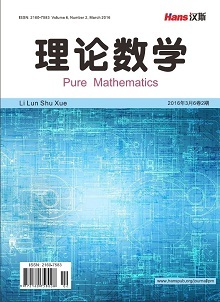 Xu, B.Z., Zhang, B.L. and Wei, G. (1994) Neural Network Theory and Its Application. South China University of Technology Press, Guangzhou.